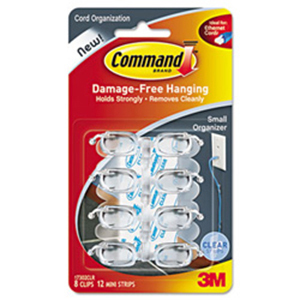 The 3M Command Clear Small Cord Clips are ideal for keeping cords organized and safely out of the way. 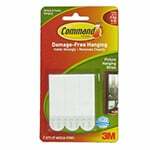 They provide damage free hanging on a variety of surfaces such as paint, tile, wood and more. 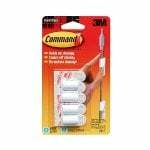 The refill strips allow easy application to use again. 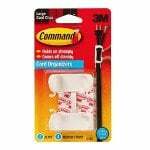 Dimensions: 3/4" x 1/2" x 3/8"
The 3M Command Clear Small Cord Clips removes easily by pulling the tab and avoiding surface damage.